Research conducted by financial services compliance consultancy, fscom, has highlighted that firms must improve in key compliance areas in order to combat financial crime and its increasing sophistication. The significant rise in FinCrime means that financial services firms must turn to more advanced technologies, such as AI and RegTech, in order to provide efficiency savings in an attempt to prevent money laundering and terrorist financing. The research conducted by fscom, delves into a range of compliance vulnerabilities in practice, but also provides insight on how ﬁrms have improved their compliance procedures in the last year and thus reduced their own regulatory, reputational, and ﬁnancial risk exposure. Identified were areas of both high and low risk in a number of payments, e-money institutions, challenger banks and cryptocurrency firms. The key compliance areas included: PEPs and Sanctions, RBA (Risk-Based Approach), CDD (Customer Due Diligence), Monitoring (Transaction Monitoring and Ongoing Monitoring), Training, AML (Anti-Money Laundering) Policies and Procedures, and MLROs (Money Laundering Regulation Officers). Figures revealed general improvements in the overall risk rating, with last year’s overall risk figure being reduced. However, it is worth noting that despite a decline in high risk findings, both low and medium risk findings have increased. The research revealed that in the area of PEPs and Sanctions, the risk rating almost halved compared to the previous year. In fact, the same applies to the risk posed by MLROs, where it also halved. Commenting on the findings, Creed stated: “Whilst several improvements have been made industry wide, there are key areas where I would expect to see further improvement next year. 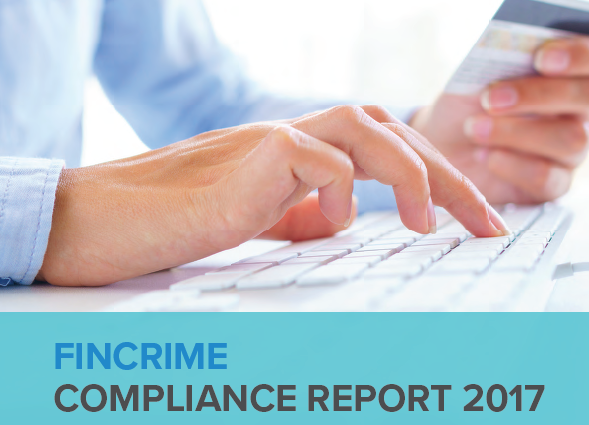 To gain a deeper insight into the regulatory compliance challenges and opportunities facing the UK’s financial services industry, you can download the full FinCrime Compliance Report here.